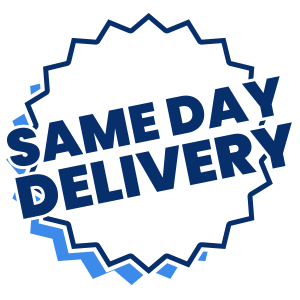 Fargo Mattress Store - Same Day Mattress - SAME DAY DELIVERY! The concept is simple; we have a 1,250-ft showroom, limited store hours, and only the most popular Serta made, private label mattress. We focus on simplicity, convenience and top name brand mattress for a fraction of the cost of big box retailers. 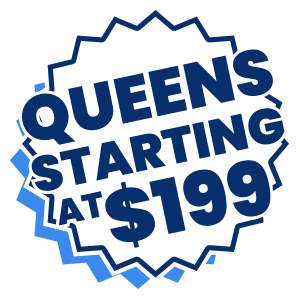 Our queen mattresses start at $199 and are also 40% to 70% off retail pricing and we offer no credit needed $40 down financing. When you want a quality mattress without the hassle big box retail we’re your go-to store. Stop by our south Fargo store, just east of Liberty Middle School, and enjoy a quiet shopping experience. There’s no pressure and no distractions. You can try out all our mattresses to find the one that feels the best and fits your budget. If you need any help locating or choosing a mattress, we’ll provide you with all the specs and details to make an informed decision. One of the primary ways we serve our customers is with our dedication to same-day delivery. Big retailers in the Fargo-Moorhead area outsource their deliveries, so you can typically expect to wait from one to two weeks for the delivery of your mattress. If you have just moved to town, the last thing you want to do is wait for two weeks to settle in and get a good night’s sleep. Once you’ve picked the right mattress with us, we’ll check our inventory and deliver it to your home later that day. In a rare situation we do not have your bed on hand (and its not a discounted model), we will waive the delivery fee as our guarantee to you. 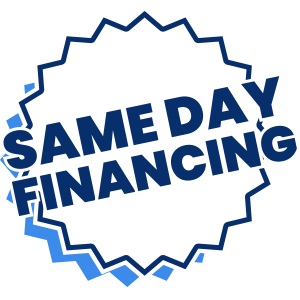 No Credit Needed: We offer no credit needed, instant approval financing. All you need is a social security number, checking account in good standing, and a job making a minimum of $1000 per month, and $40 down to qualify. Payments are taken directly out of your bank account on payday for your convenience. You have two repayment options. You can opt to pay it off in three months, interest-free, or you can pay it off over a year, with interest. Plus, you always have the option to pay it off early. Credit Needed: We offer a traditional credit needed financing option. This is for those customers that have good credit, and would prefer smaller payments and stretch the life loan to over 1 year. This option does go off your credit score, but you have typically 1 to 3 years to pay it off. We carry a wide variety of mattresses but given our focus of simplicity and convenience we only carry the highest quality at the most affordable prices. The most popular mattress we offer is our made by Serta, private label mattress. With this, you get the peace of mind by sleeping on a mattress manufactured by Serta, constructed with Serta material, but most of all comes with a Serta warranty without paying the Serta price. We offer options all types of mattress from traditional spring, pocketed coil, memory foam and hybrids. With us, you get the value you’d expect from a boutique store, unlike the “other guys”, we have listened to the general public that mattress shopping is stressful and expensive, we are intended to disrupt the big box retail environment and put you first today. When you buy from Same Day Mattress, you’re only paying for a mattress and therefore you won’t be paying for a big-box store’s marketing campaign, name brands, useless square feet and all the extras that you don’t need. We focus on helping you purchase a quality mattress at an affordable price. Same Day Mattress is a boutique mattress retailer providing the residents of Fargo, North Dakota and the surrounding areas with high-quality beds at affordable prices. On top of that, we offer same-day delivery. Same Day Mattress offers you the best feel for the best deal today!